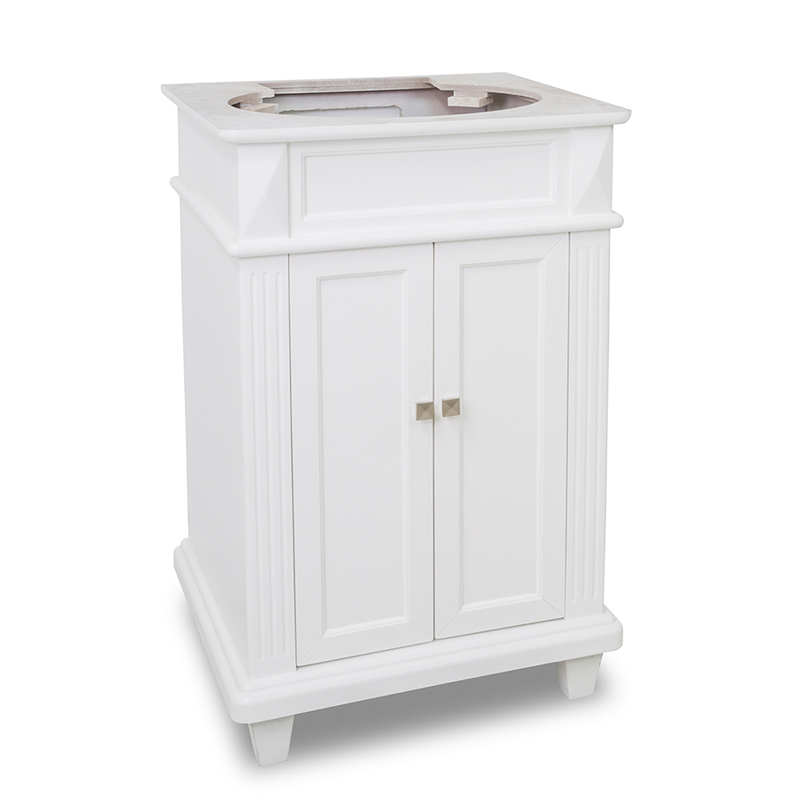 With its White finish and petite size, the 24" Jupiter Single Bath Vanity in white combines style with function for a vanity that gives your small bathroom a sense of style and practicality. 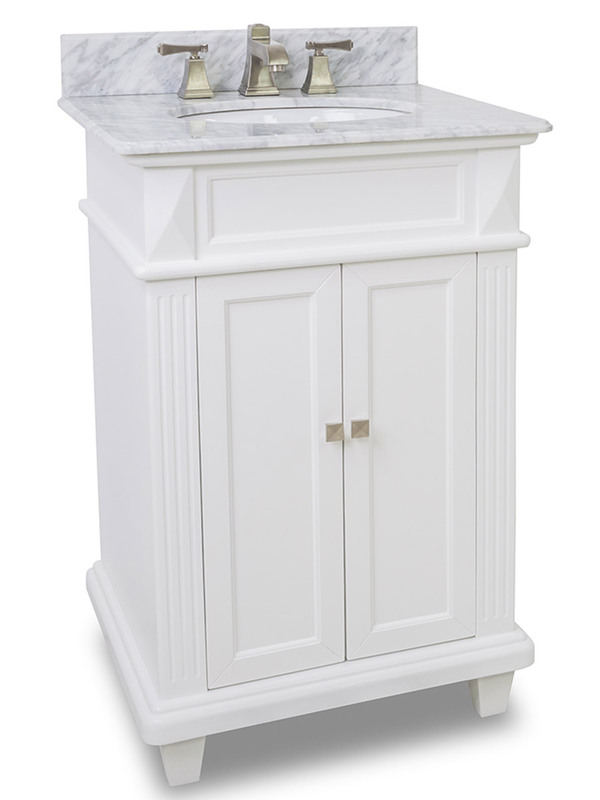 The White marble top offers a gorgeous complement to the White hue of the entire cabinet. 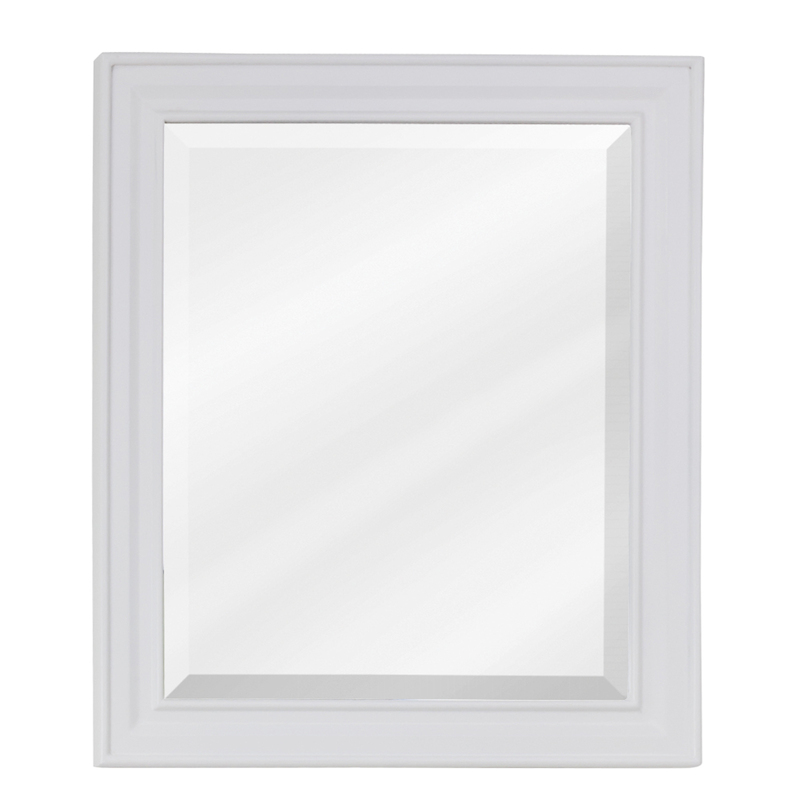 Great for traditional, transitional, or modern bathrooms alike, the Jupiter is versatile and is right at home, ready to transform your bathroom.